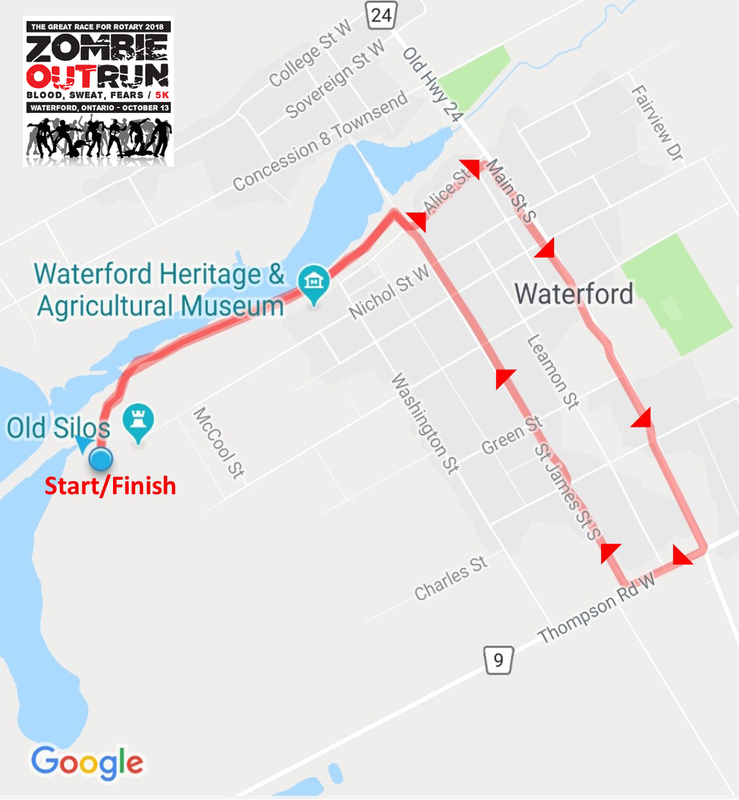 5 KM - WALK or RUN - All participants start at noon! Your Time is Recorded Via Chip Technology!!! Prizes will be available for the BEST ZOMBIE COSTUMES! THE RACE IS NAMED AFTER A GREAT ROTARIAN AND COMMUNITY BENEFACTOR, JOHN RACE.